Hi Hermine here again. This time with a shabby chique looking project. The felt was a gift from a friend, she send me wool directly from the sheep, never had that before, I always bought my felt ready cleaned up. But because of my inexperience I messed up big time during wet felting. Oh boy did that hurt, this wool was special for me, so instead of throwing it away I decided to needle felt it. PHEW that was a relieve to find out that that worked out. step 1: Needle felt a heart (this one is as big as my hand). step 2: take a piece of fabric and stamp the Banksy Unhappy boy 19493 on it with Stazon. step 3: search in your stack for some lace, tule. ribbon. string and silk flowers. 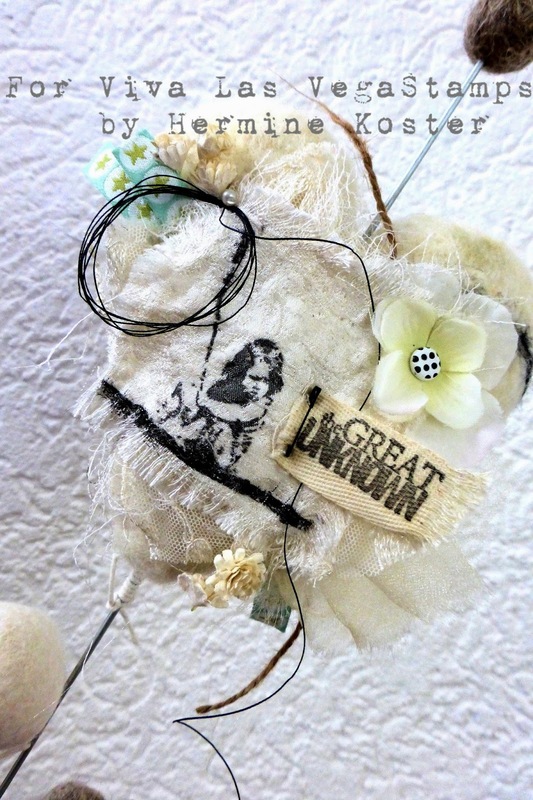 Decide which layout works best and then needle felt it onto the heart. step 4: take a piece of ribbon and stamp The great unknown 19350 onto it with Stazon. Pin it to the heart with a little black safety pin. step 5: needle felt some balls. step 6: assemble the whole thing by drilling holes into a wooden cube. Take some wire and cut them into different size pieces. Take a long needle and make holes into the centre of the heart and balls. Finish it off with some string. I know not everyone is into needle felting, but hopely this piece inspires you to make something awesome. Think about how it would look like if you used a fabric heart and wooden balls, or make this as a fully paper version. I think that would look awesome as well. Beautiful work. Great design. Love the detailing. It makes me feel happy. Thankyou for sharing Anneke. I am the worst needle felter. I thought it looked easy, but turns out there's a learning curve and the needles are stinking sharp! so I love when I see someone else pull it off...this is really a fun piece. 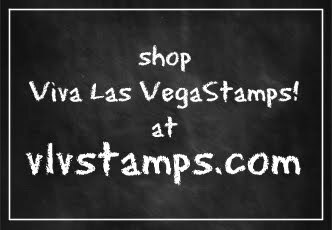 Project Life my way and Viva Las VegaStamps!